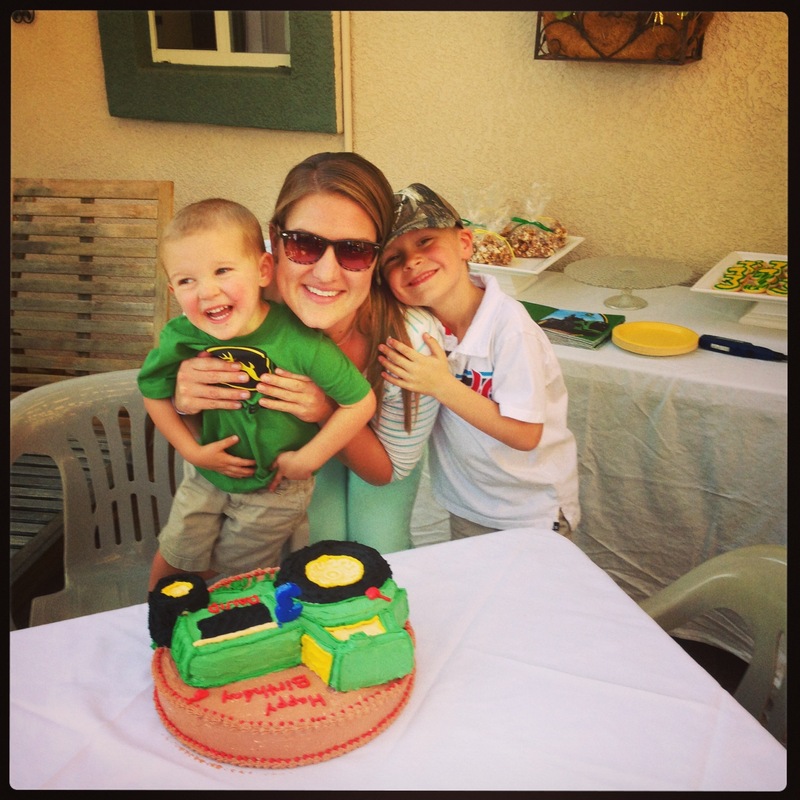 My sweet nephew, David, had his third birthday party over the weekend! I baked up a storm for the party. 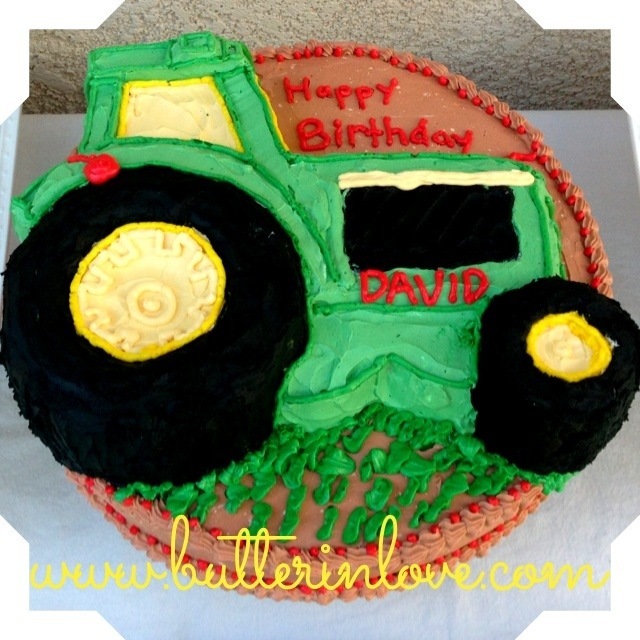 He requested a vanilla John Deere tractor cake with a cherry on top. 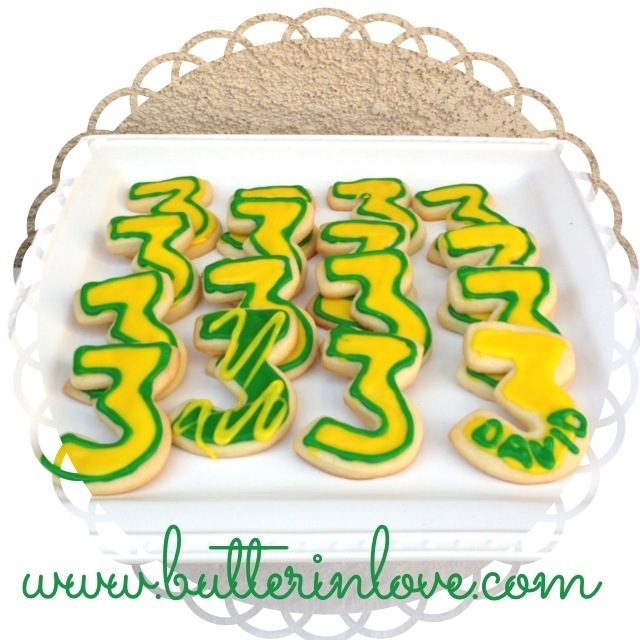 I also did sugar cookies and caramel popcorn. 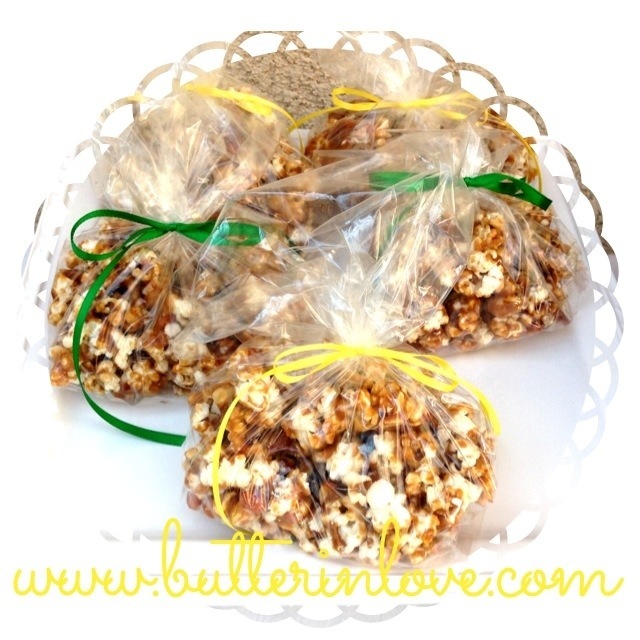 The popcorn is dangerous so I tied it up in individual bags to avoid pre-party snooping!